including educational opportunities for their children and vocational training for themselves. 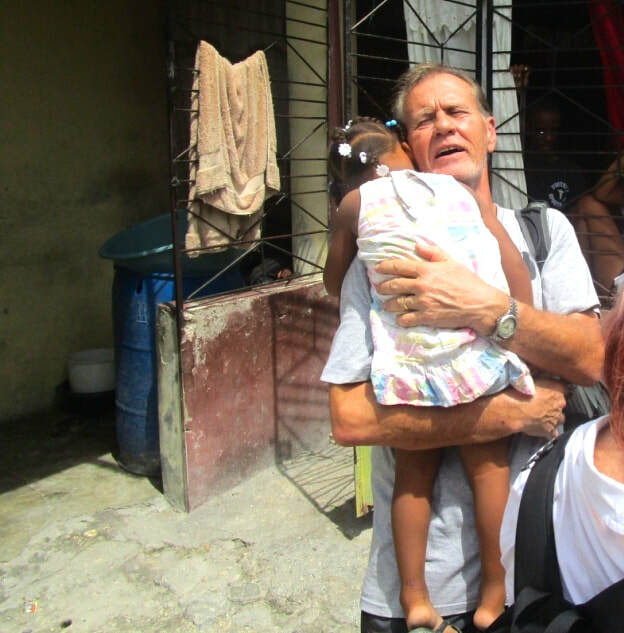 ​Michael with one of our children sponsored back with family! 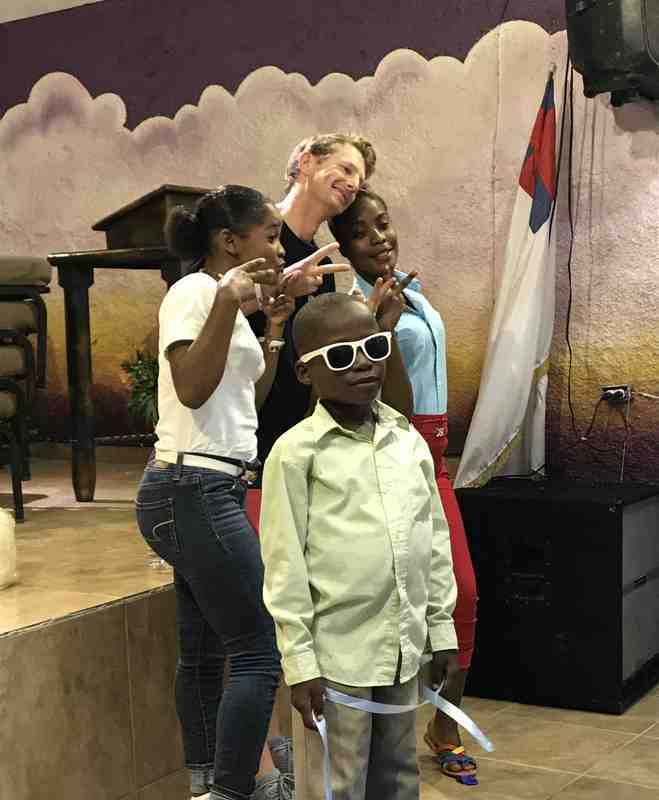 October, 2017: The children & parents sponsored through Love Family Homes, at the Launch of LIBELLULE Training Academy: with Pastor Regg & our team! These parents & our four High School graduates from Love Community, began attending LIBELLULE Training Academy in January, 2018! 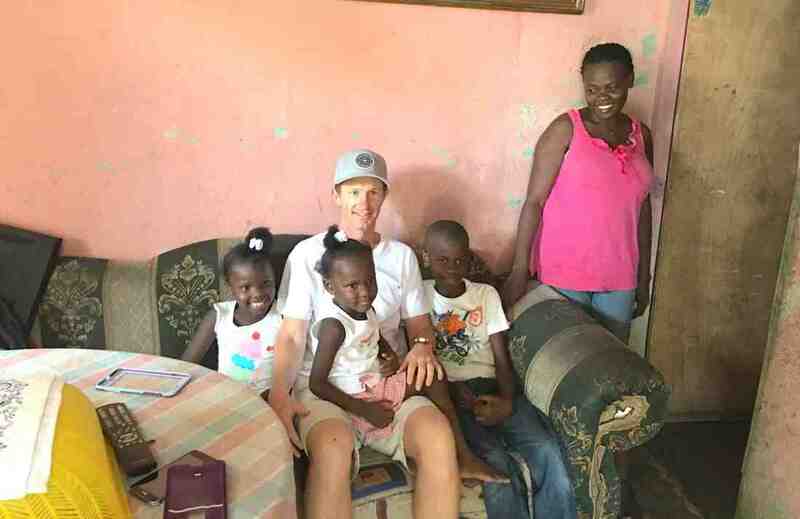 Michael with Lunise & her children: Sarah, Rebecca & Messy - who now live back with her, through our Love Family Homes Sponsorships & Michael's 'Raise the Roof' fundraising! 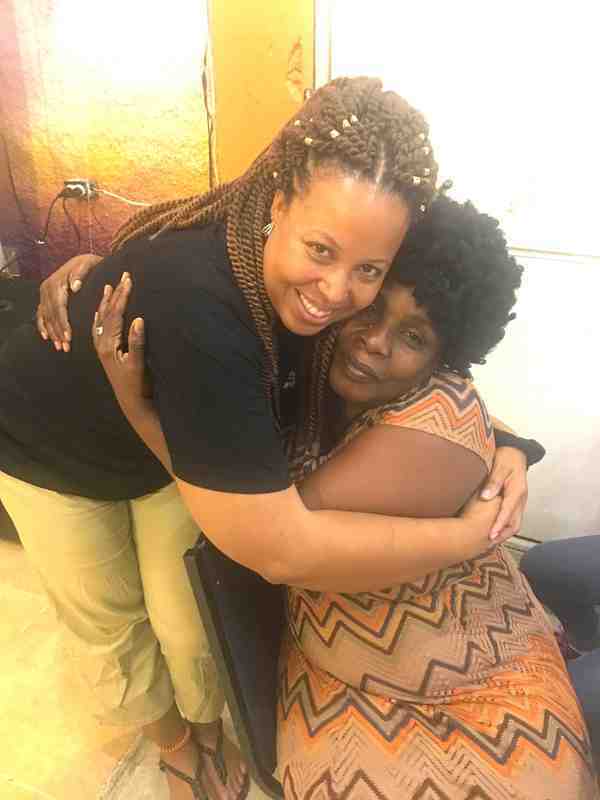 Michael told Lunise that through his fundraising, we would also purchase new beds & mattresses for their entire family... something they had never had! Rachel with her sponsor children: Christopher and Paul. Both young men have just graduated secondary school! They are both sponsored to live at home with their fathers and they both started at LIBELLULE Training Academy in 2018! Fun with Mike and some of the the children from Love Family Homes - at the LIBELLULE Training Academy Launch Dinner. 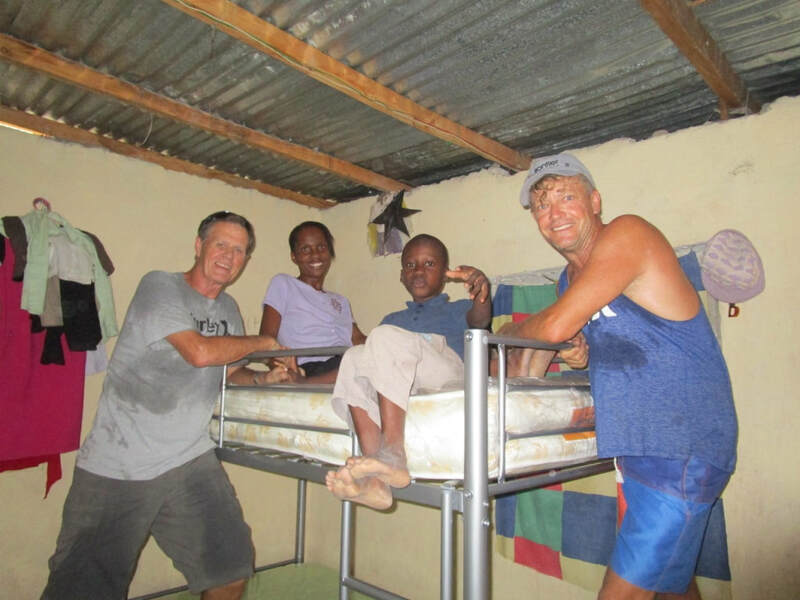 John & Dave install new beds for Edwine & her son Mike in their home. Mike is Dave's sponsor child and Mike & Edwine are both grateful to be together! 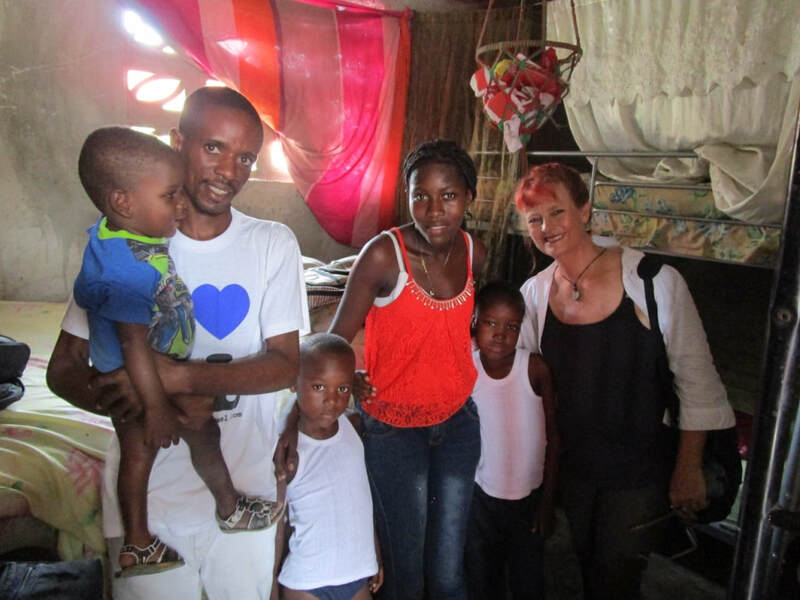 Chez meets Margareth and Venel and their children, a few days after Michael installed new beds and mattresses for them in their home! 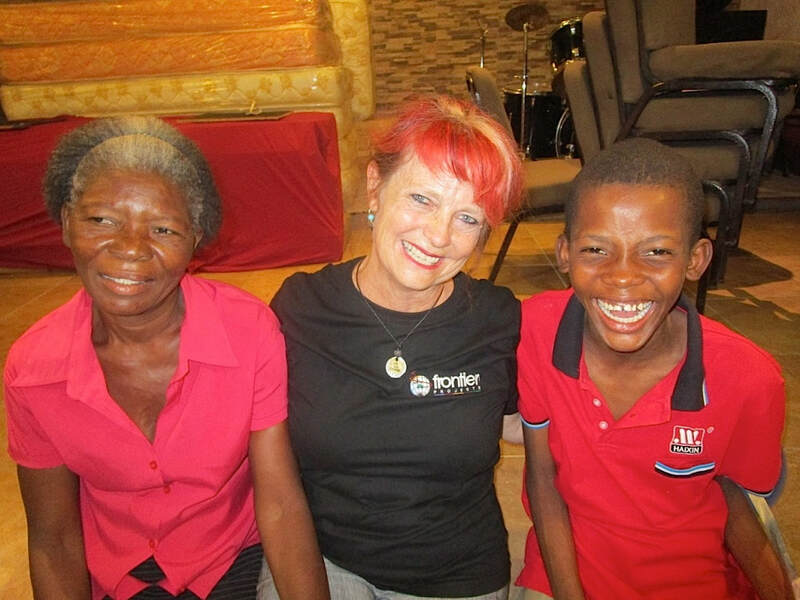 They were so excited and blessed that their children live and sleep with them - through Love Family Homes sponsorship! Chez with Vedette & Carlens at the LIFLIM Training Academy Launch Dinner. Vedette & Carlens are both so excited that he now sleeps & is cared for at home! They also have new beds! Vedette started at LIBELLULE Training Academy in January, 2018! Mike with Lunise and her husband Ernst and baby Rebecca, at the LIBELLULE Training Academy Launch Dinner. Lunise also started at the LIBELLULE Training Academy in 2018! Yola with Nerlande at the LIBELLULE Training Academy Launch Dinner! Nerlande is so excited that her daughter Samantha now sleeps at home! They also have new beds! Nerlande also started at the LIBELLULE Training Academy in 2018! John meets Christ-Lyn for the first time. 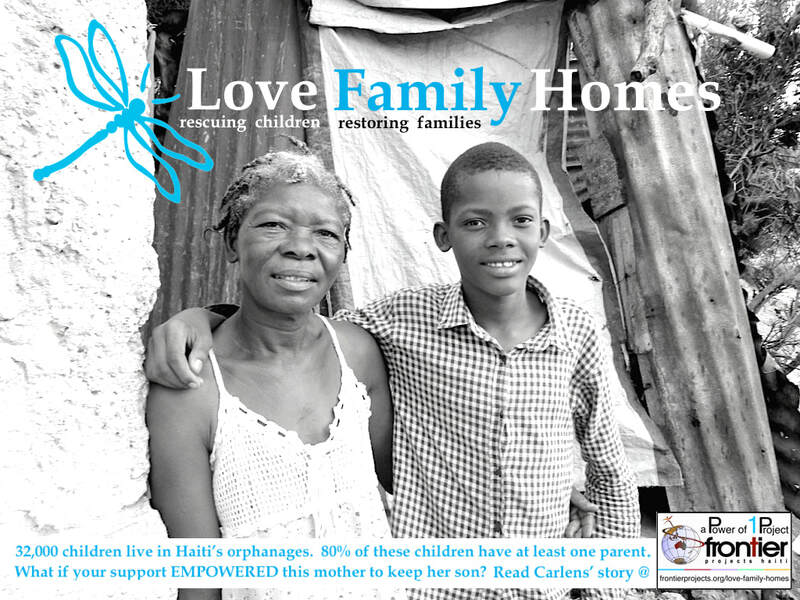 Christ-Lyn is the daughter of Margareth - who will now become part of the Love Family Homes community! 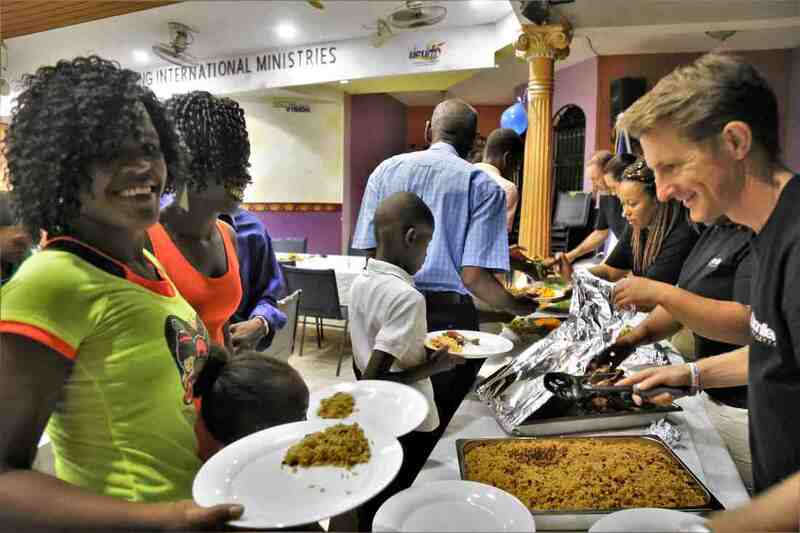 Mike and the team serve dinner to the families and children from Love Family Homes.